Locksmith in Bel Air Save The Day Lock & key Inc. Locked out of your car? In need of vehicle key making? 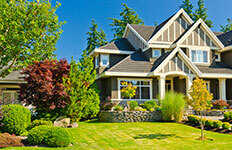 We offer affordable service calls to help you out. We’re local and will beat any price. 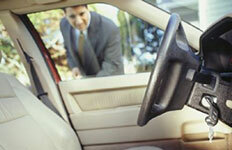 More importantly, we can be to you quickly so you don’t have to stand around waiting to get into your car. Our experienced locksmiths can work with a wide array of car makes and models to ensure you’re able to have your issues handled promptly. We can help with car key extraction, ignition replacement, and much more. Call today to learn more about our services and request a locksmith! It’s always important to be able to get into your home, and maintain a high level of security. 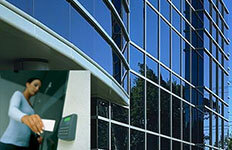 We offer residential locksmith services to help you with the various aspects of safety and security for your home. Our professional locksmiths can help with house lockouts, new lock installation, lock changes, and more. If people have a key to your home, the easiest way to boost security is to change the lock. We offer prompt service and can help you 24 hours a day. When you’re ready to learn what one of our locksmiths can do for you, simply call. We look forward to working with you! Are you in need of locksmith services for your business? Our commercial services are affordable and quick so you can make sure you get what’s needed to keep your business up and running, and kept safe. We are happy to help with new lock installations, business and mailbox keys, and even help with being locked out of a safe. Our trained locksmiths are going to provide service with a smile. We can make recommendations on ways to keep your business locked up tighter, and can even help 24 hours a day if you are ever locked out of one of your businesses. send a locksmith your way! Save The Day Lock & key Inc has been in business since 1986. Since opening our doors, we have serviced thousands of happy customers. Our team have proven time and again that they are no less committed to excellent service and customer satisfaction. We pride ourselves on our rapid response time, no matter what situation you find yourself in. If it's an emergency, we will be there as soon as we possibly can. And if it isn't an emergency, we will be there as soon as we possibly can. There is little more frustrating than sitting on the curb waiting for a locksmith to come and let you into your own car or house. We keep the waiting time short so that you can get over this little bump in your day and get on with what's important to you. Our response time isn't the only thing that sets us apart in our field. In addition to getting there faster, we'll also charge you less. Our competitive prices are just one more reason that we are the first locksmiths company to call. Our dedication to service is unparalleled by anyone in the business. We hire only the most skilled technicians with friendly and outgoing personalities to better sever your needs. Call us now for a fast locksmith service that you can trust! Broke your remote head key? Don't spend money on a whole new key. Bring us your broken keyand we will renew it for you today. Bring us your broken keyand we will renew it for you today.